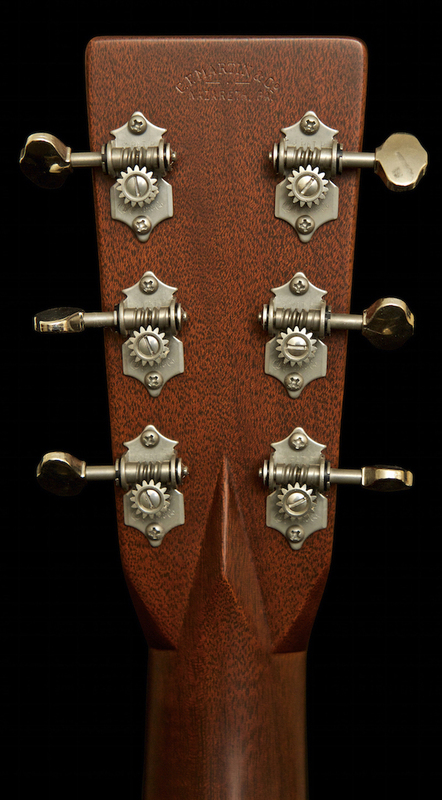 Grained Ivoroid binding and herringbone inlays. 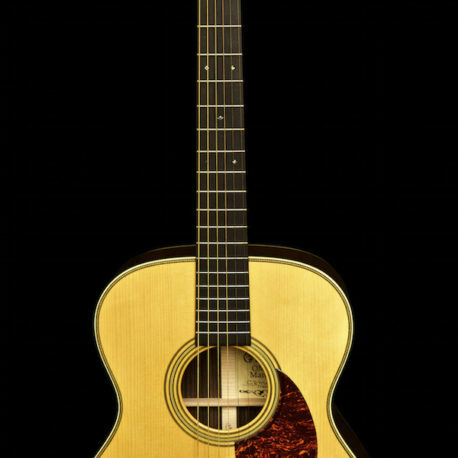 A pre-war sound (made very close to pre-war specifiactions) that is full, round, robust, chimey and fabulous for fingerstyle guitar. 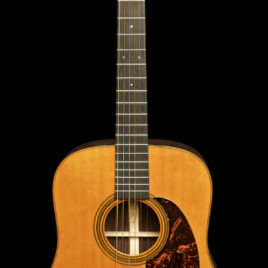 Fossilized ivory nut and saddle plus a beveled Delmar pickguard. 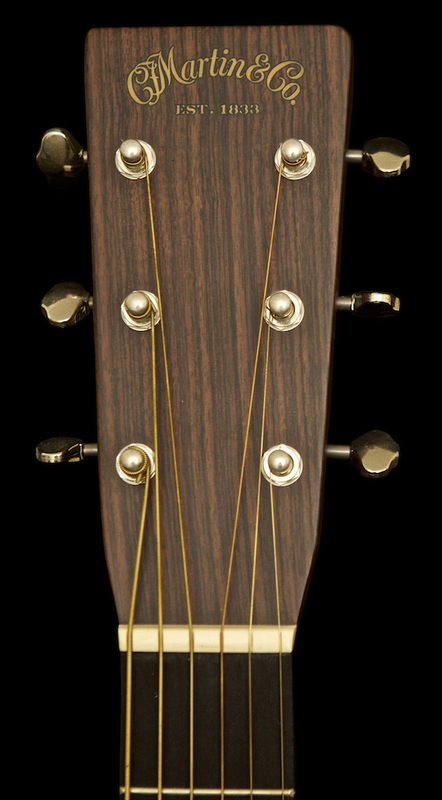 Historically, Martin's 21 styling has represented the simplest appointment level with rosewood back and sides and a spruce top. 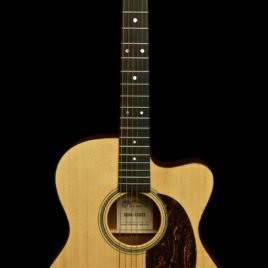 Introduced in 2007, Martin's OM-21 Special closely replicates this plain but beautiful style by blending rosewood bindings, maple inlay on the back, a herringbone rosette and back purfling, Mahogany Blocks/Dovetail Neck Joint, a nitrate tortoise pickguard and an ebony fingerboard and pyramid bridge. 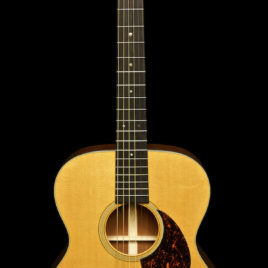 The D-21 Special Guitar shares identical appointments with the OM-21 Special, but in a dreadnought format. 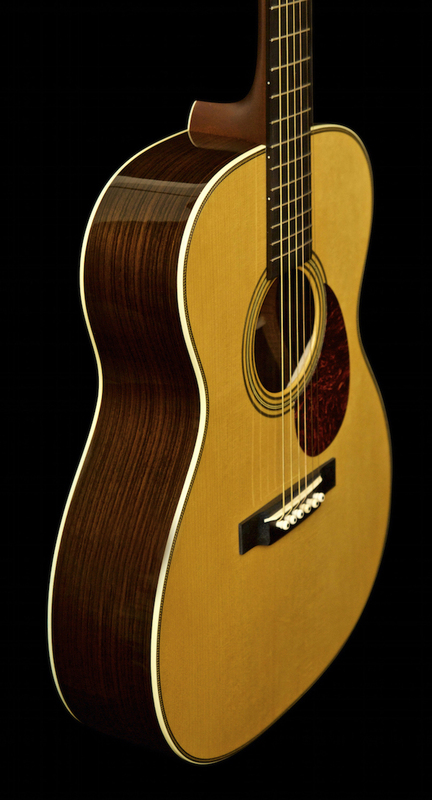 The resulting instrument offers Martin's legacy tone with classic style. 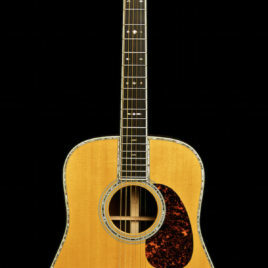 Mint condition and made in 2008.